There is a new addition to the side navigation bar on Twitter: now you can see developing news, recent tweets from friends, and highlights from popular accounts separately. The company hasn’t explained the work behind the mechanics used here, but they seem to be a whole new way to filter the content you get in your timeline. The option “friends” so far seems to show the tweets of people who follow you and who you follow back. Twitter seems to be updating the use of GIFs to reply to a specific comment on a thread. There is a new option aptly named “react with GIF.” Twitter already features a shortcut to add a GIF on a tweet, but the new option seems to be focused on adding a GIF on top of a retweet, something that wasn’t possible until now. Twitter is currently testing a tweak to their main interface on the desktop version of the site that would allow users to drag and drop image files from their computers. The app seems to have the same feature to manage gestures. You can also move around the compose button and place it at your convenience on the screen. This change seems to be made for purely cosmetic purposes, but it’s nice to be able to place elements that disturb you on the screen where they don’t cause any trouble. There are also two updates to the popular night mode that uses a dark color scheme against the white text. The first one is a full black background instead of the dark blue tones currently used. This is great news for people using their phones in full light settings in darkened rooms since it won’t hurt the eyes as much. 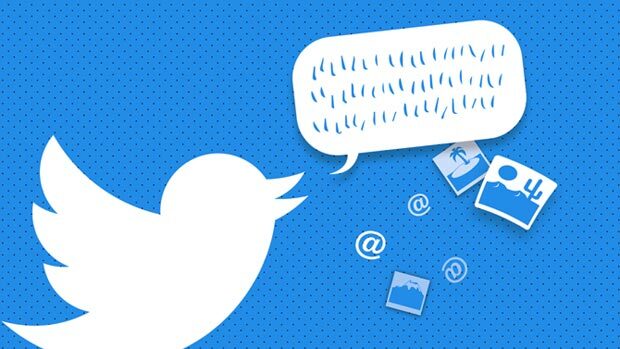 It’s a rumor to this date, but it seems that Twitter is finally placing a feature to allow DMs to accounts you don’t follow with a new level of encryption as well as retaining the rights on the user’s end to receive them or not.